Carousel Players is an award-winning professional theatre for young audiences committed to the development of new work and the production of theatre that entertains and challenges our audiences. We present inspiring and entertaining plays for children aged 5 to 15 in schools, theatres and other venues. We ensure that our performances, theatre school and classroom programs are affordable for all children regardless of their socio-economic status or situation. Our company began in 1972 and since then over 2.7 million students, teachers and families have seen our productions. We regularly perform in schools across Ontario, and frequently tour to theatres in London, Toronto and Orangeville and festivals in Ottawa, Vancouver, Winnipeg, and Calgary. Our award-winning plays have toured as far away as England and Japan. The name for the company is inspired by one of Canada’s oldest carousels in nearby Port Dalhousie where you can still take a ride for just a nickel. Carousel Players tours to schools throughout Ontario and operates out of the historic Courthouse in downtown St. Catharines. 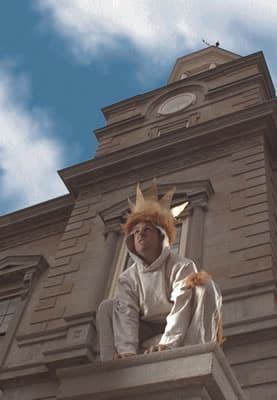 We also present public performances for Niagara families in the Sullivan Mahoney Courthouse Theatre at 101 King Street. Within the building are the administration and production offices of Carousel Players, a rehearsal studio and a 125 seat performance space that is the home of Carousel Players’ Theatre School. Our facility is actively used by local theatre, dance and music organizations from the Niagara region. Our plays have been nominated for Dora Awards for Outstanding Theatre for Young Audiences fourteen times and the theatre received Dora Awards for Dinosaurs & All the Rubbish in 1993 and Patty’s Cake in 2003. Carousel Players received the 2003 Canada Council for the Arts for Theatre for Young Audiences Prize for Patty’s Cake, the Great Grants Award from Ontario Trillium Foundation in 2005 and the Lieutenant Governor’s Award For the Arts in 1997 and the Trillium Innovation in the Arts Award in 2009. 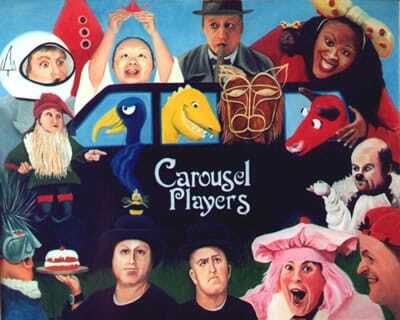 Carousel Players is a non-profit charitable organization that began in 1972 by Desmond Davis, a Professor of Drama at Brock University in St. Catharines. Des and his wife Faye came to Canada in 1970 from Australia where both had gained considerable experience in professional theatre and created a theatre to serve youth in Niagara. Other artistic leaders of the company include Duncan McGregor (1977 to 1990), Pierre Tetrault (1990 to 1998), Kim Selody (1999 to 2006) and Pablo Felices-Luna (2007 to present). Visit Carousel’s website at http://www.carouselplayers.com for more information on our achievements and current productions.